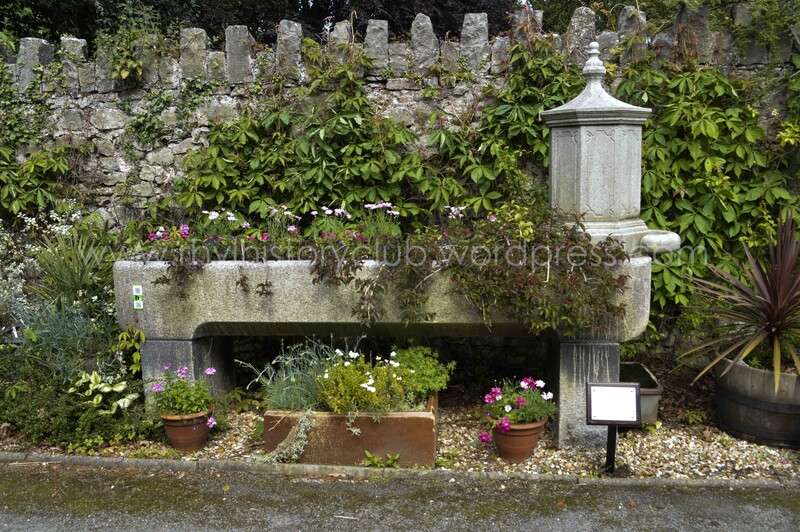 The animal trough and remembering Mr Winston. 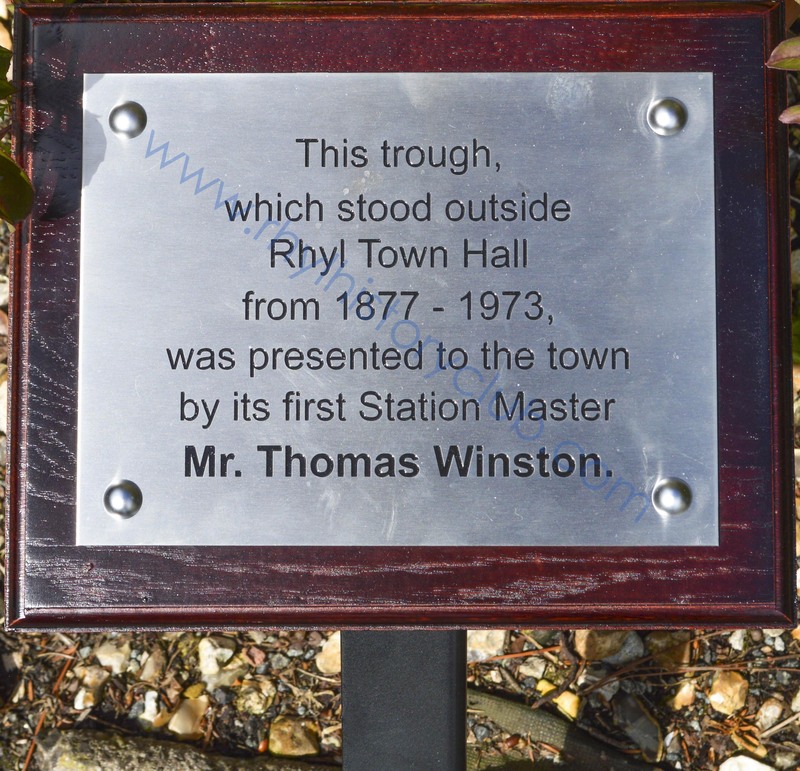 Rhyl History Club has placed a plaque in the grounds of Bodrhyddan Hall to remember Rhyl’s first Station Master, Mr. Thomas Winston. The plaque has been placed beside the animal trough which stood next to Rhyl’s Town Hall, in Queen Street, for almost 100 years. It was presented to Rhyl in 1877 by philanthropist Mr Winston who requested the simple inscription “the gift of a friend to animals”. In 1973 the trough was removed from Queen Street and was offered a home by Lord Langford at Bodrhyddan. Mr Winston was a remarkable man, quiet and unassuming, he was a great benefactor to the town and was Rhyl’s first Station Master. On Monday, May 1st, 1848 the railway opened in Rhyl and Mr Winston sold the first ever ticket for travel from the station. For many years afterwards he was in the habit of attending the booking office on May 1st and booking a passenger in commemoration of the event. 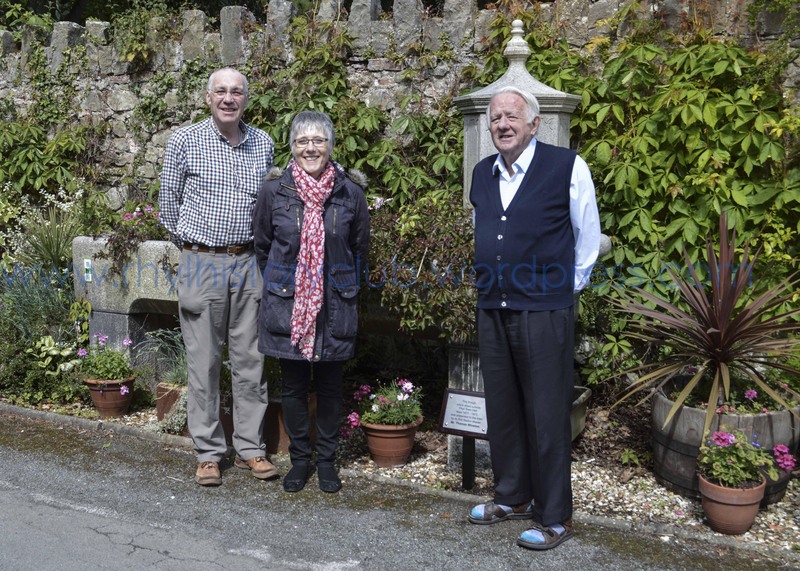 Rhyl History Club members Colin Blythin, Maggi Blythin and Chairman, Mr Rufus Adams. and more about Bodrhyddan Hall here, on historypoints. Well done to you all………the trough looks a lot better than I remember it! I well remember the trough in its place outside the town hall (and public toilets!!) and reading the inscription. Its an image stamped on my memory for some reason. That’s a lovely story about Mr Winston – what a great man. I’m glad the trough is now safe and secure in a beautiful spot where we can visit it. Thank you and very well done. Finally, recognition for one of Rhyl,s unsung hero,s. Ruth,s investigation into the true benefactor have shown how “facts” can become distorted over time. Mr Winston can be an inspiration for all that have a love for the town of Rhyl.